Does any one have the eagle lbr with this part? I can find it. This part is a good choice. I recently started using the very same (or a clone anyway). Pro tip: If you use a dark color soldermask, add a block of silkscreen so that you can see the position of the black slider more easily. How stiff are those gull-wing tabs that hold it down? 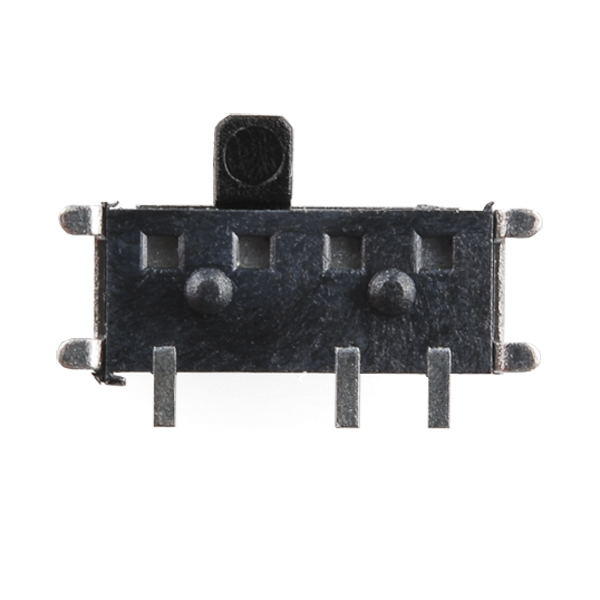 So many of these switches (in the PTH versions) are too fragile to extend past the edge of the PCB or out of a case, but this version looks sturdier. The tabs are small and not particularly strong, but they are the second line of defense. 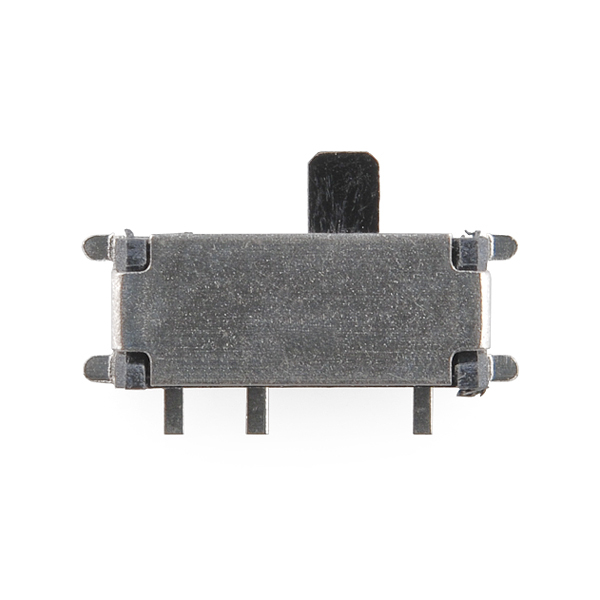 The primary mechanical support is the pair of plastic nubs on the bottom that fit into holes in the PCB. Not sure what your exact requirements are, but there's bound to be one fitting what you need in there. Anyone Know when it's expected to be back in stock? Yay, My order can finally ship. This part doesn't seem to be in the Eagle library.!!! I think it is SWITCH-SPDT-SMD-A. Actually, I'm not sure, but I think it's in there as SWITCH-SPST-SMD-A but the referenced part is wrong. 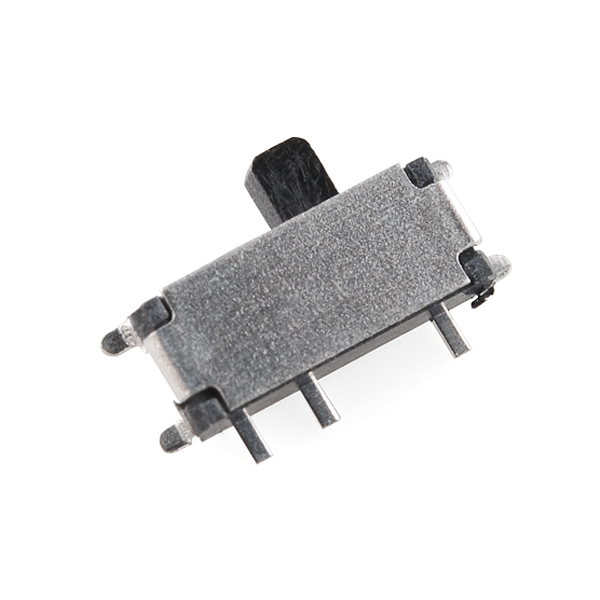 It lists (in the lib) COM-00102 but that's a thru-hole and this lib part is a R/A SMD matching this switch. Try this one: http://www.file-upload.net/download-4459155/COM-10860.lbr.html But I made it myself based on a SparkFun 3-state switch, so no warranty!